Rejoice music lovers. A company decided to answer the calls of musicians for the prefect little pipe that speaks to them. It comes in the shape of a saxophone. This would make anyone the talk of the party. The design is unconventional and would actually make a great conversation starter. Aside from it looks, smokers can also talk about how convenient its size is and how it actually works. This hand pipe maybe small but it its highly praised by its users that they buy more than just one piece. Well, add the fact that it is also affordable so no one would be guilty with buying more. Also, it’s a good way to share with friends or give it as a gift. It may only be a small hand pipe, but it surely gives its users content and happiness big time. This metal saxophone hand pipe is from zinc alloy. This makes it much more durable and would surely last for a long time. Also, the material makes the design more perfect. The hand pipe looks exactly like a saxophone would, only its way to small. Its miniature size of 4 inches make it so easy to pack and go. Anyone can put it in their pockets or purses and no one else would suspect a thing. They would only brush it off as something cute or a toy. That makes it easier to bring and take a hit any place at any time without anyone suspecting anything. Do not worry about anything else because this pipe is so comfortable to use. It has a rubber mouthpiece that makes every toke a smooth one both on the lungs and themouth. In the pipe, there is already a metal screen installed. This will catch any ashes and herb crumbs that may fall to the mouthpiece itself. Oh, every piece comes with four extra screens. Also, this metal saxophone hand pipe is very easy to clean. It has three parts that anyone can unscrew to clean. So calling all music lovers and saxophone lovers, gather and smoke to sing the song of your smoker hearts. No better place to buy this Metal Saxophone Hand Pipe than Grasscity. 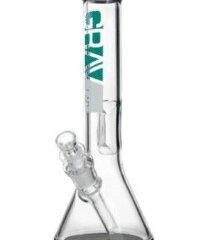 This website is the “Biggest Online Head Shop” out there that offers the lowest price. It is also quite easy to order from them. 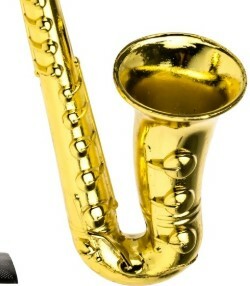 Just go to Grasscity.com and look for “Metal Saxophone Hand Pipe” then add it to cart. Pay $9.99 for the item itself and then the extra fees for the shipping. See, for only $10 anyone can already have a brand new pipe that one can really enjoy. It is also like hitting two birds with one stone. Anyone can enjoy the way it looks as well as the way it gives the best hits. There are so much more that this website can offer. They have a “Price Match Guarantee” option that allows their buyers to look for lower prices. Yes, lower prices for the same product and show them any proof. They would match that price and sell it for the lower one. Wow, right? Another great thing is their “Easy Return” option. This is also another form of guarantee that their buyers would receive their items it tiptop condition. If they have sent the wrong item or if there is anything wrong with it, show them proof. A picture would be perfect, and they will ship another one for free. Now it is evident why and how this company was able to survive being in the business for almost 20 years. It is also clear how they were able to achieve being “The Biggest Online Headshop” there is. Thanks to their wonderful customer centered service. Two words to describe this wonderful novelty: cute and efficient. It’s got the cutest design that many people would love. In all honesty, pretty sure that music lovers and non-music lovers alike would adore this item just by the way it looks. The size of this gadget is only 4-inches long which makes it much more fitting with the way it looks. It also makes it much more portable, so users may enjoy it more anytime and anywhere. So anyone can break herbs out and pack it in the pipe fast. Next, it is always a blockbuster item that sells out very fast. Meaning, it is very efficient. Maybe, it can also be a lot of smoker’s favorite. It also it is so cheap that users opt to buy more than one of these. This Metal Saxophone Hand Pipe is so small yet smokers assures that it is good enough to share. 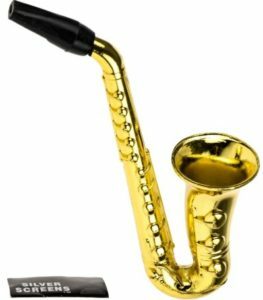 Buy Metal Saxophone Hand Pipe Here! The post Metal Saxophone Hand Pipe appeared first on I Love Growing Marijuana.